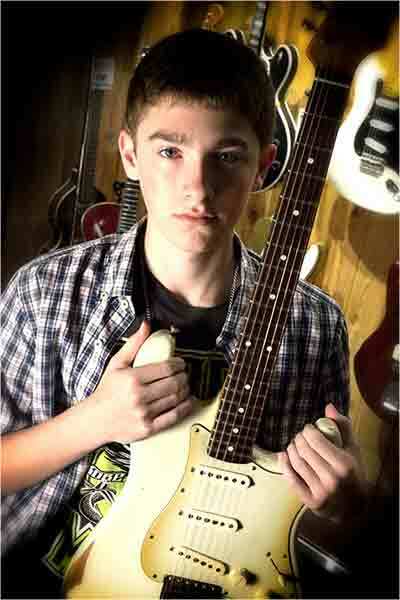 " Spencer Rabin is a fifteen year old guitar player from Chicago. " 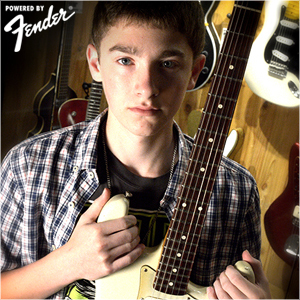 Spencer Rabin is a fifteen year old guitar player from Chicago. Spencer began his music career at just four years old. He had always been drawn to the guitar and was influenced by players such as Joe Bonamassa, Zakk Wylde and Jimi Hendrix. Spencer has been writing music ever since he started playing guitar. By the time he was thirteen, he had single handedly wrote, recorded and released his first single called “Hazy.” He describes his playing style as a “very unique lightning fast, but melodic, Rock/Blues sound.” This style, even in his early years, has earned him recognition and numerous professional nods. Spencer can wow people with his astonishingly fast, emotional, and flashy solos, but can calm people with slow, clean melodies. Spencer strives to be great. He practices anywhere from two to eight hours a day and places a strong emphasis on composing original songs and learning music theory. By continuing his hard work and dedication, Spencer vows to be regarded as one of the great guitar players of his time.